Analytics enables freedom & power through information. It makes the right analysis quick and cost effective and goes a long way to building and protecting your credibility in the marketplace. Technology Partnerz provides organizations with a wide range of software tools to perform analytics, optimization and forecasting. 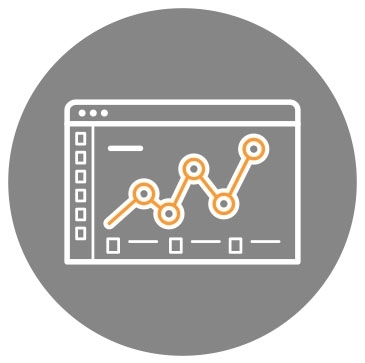 We work with the industry's leading providers of analytical tools in order to get them in all the same place and make sure that you have access to the right solution. Our consultants will assess your problem and provide you with recommendations on which tools could best address your needs. Building on the Standard Edition, @RISK professional Includes Monte-Carlo simulation, distribution fitting and goal seek functionalities. New in version 7 is the ability to build efficient frontiers, use copulas and a host of usability enhancements. Analytica Enterprise is a very powerful visual modeling tool using influence diagrams. Designed with advanced simulation and modeling capabilities in mind, it allows for powerful decision modeling an analytics. Using a visual modeling approach you can design your own models as well as applications that can be shared with your peers. If you haven't tried it, you should because you will be impressed with its ease-of-use.The standard version of Analytica with full model creation functions. Analytica Optimizer is the highest edition level of Analytica. In includes all Enterprise features, plus the addition of powerful solver engines.It discovers decision values that minimize or maximize any quantified objective, subject to constraints.Designed with advanced simulation, modeling and optimization capabilities in mind, it allows for powerful decision modeling an analytics. Using a visual modeling approach you can design your own models as well as applications that can be shared with your peers. Analytica Professional is a very powerful visual modeling tool using influence diagrams. Designed with advanced simulation and modeling capabilities in mind, it allows for powerful decision modeling an analytics. Using a visual modeling approach you can design your own models as well as applications that can be shared with your peers. If you haven't tried it, you should because you will be impressed with its ease-of-use. Electronic download and PDF copies of Manuals. Do you already have Oracle Crystal Ball and want to tackle the next generation of problems? The Crystal Ball Decision Optimizer upgrade provides users with both industry-leading optimization using OptQuest and unparalleled speed (PSI). OptQuest is an optimization tool that runs with Crystal Ball as an add-in and enhances simulation models by automatically searching for and finding optimal solutions. The DecisionTools Suite Industrial includes @RISK for Monte Carlo simulation, PrecisionTree for decision trees, and TopRank for “what if” sensitivity analysis. In addition, the DecisionTools Suite comes with StatTools for statistical analysis and forecasting, NeuralTools for predictive neural networks, and Evolver and RISKOptimizer for optimization. The DecisionTools Suite Professional is an integrated set of programs for risk analysis and decision making under uncertainty that runs in Microsoft Excel. The DecisionTools Suite includes @RISK for Monte Carlo simulation, PrecisionTree for decision trees, and TopRank for “what if” sensitivity analysis. In addition, the DecisionTools Suite comes with StatTools for statistical analysis and forecasting, NeuralTools for predictive neural networks... All programs work together better than ever before, and all integrate completely with Microsoft Excel for ease of use and maximum flexibility. Full Monte is a high performance cost and schedule risk analysis add-in for Microsoft Project 2007 (and above). Full Monte P6 is a high performance cost and schedule risk analysis tool for Oracle Primavera P6. MondoBrain discover unprecedented relationships and critical situations that are invisible to other technologies. MondoBrain leverages in a simple web interface unique non statistical algorithms, dynamic data visualization and the knowledge of subjects matter experts.